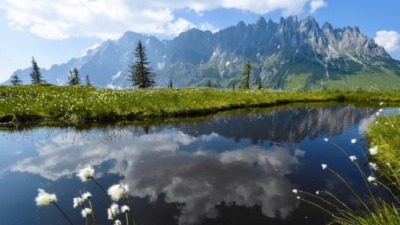 Over the past few years, geocaching has become more commonly used in the world of education. 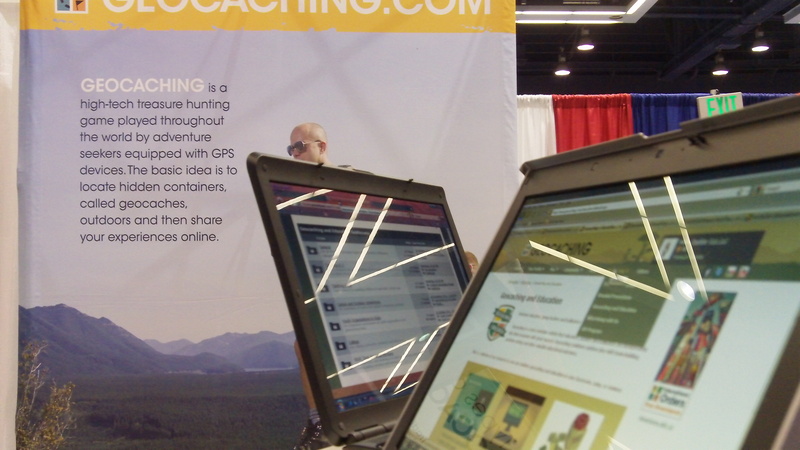 Now Geocaching.com offers more help to teachers who incorporate geocaching in the classroom. Geocaching.com just released a Geocaching and Education page to provide educators with a range of useful resources. 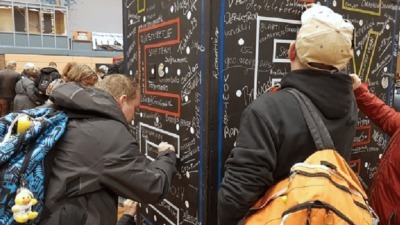 Geocaching.com employees, known as Lackeys, are also attending education conventions to spread the word about geocaching in the classroom. 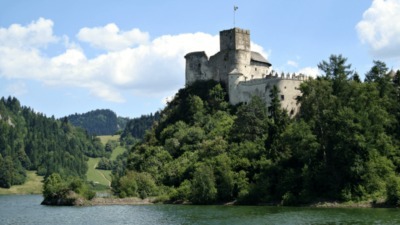 Teachers have traditionally created their own material to incorporate geocaching into geography, math, science, history, English, and physical education curricula. The passion to use the activity in school has become so great that we over at Groundspeak are now actively partnering with teachers to better support geocaching and education. 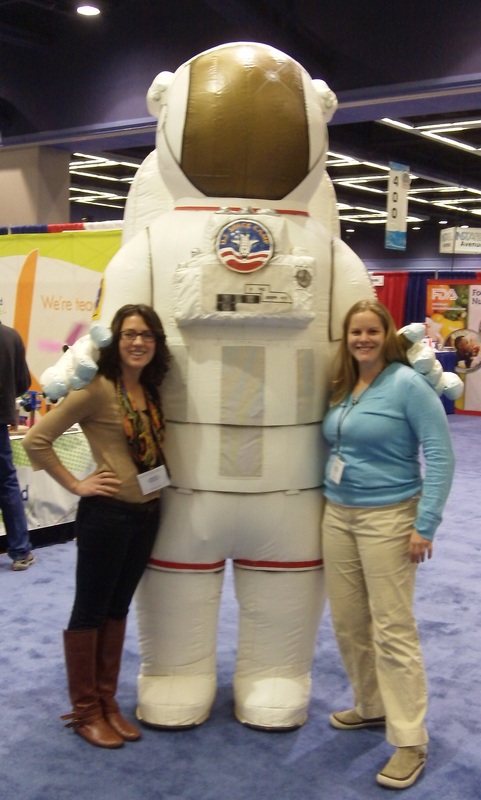 Just this past week, Lackeys smelly_kelly, Foxfire, Louie Bliss, Katie-b, and bethany_b attended the National Science Teachers Association (NSTA) Convention in Seattle, Washington. The conference featured more than 50 booths and hosted more than 3,000 attendees. The Geocaching.com booth proved to be a great success as geocachers and non-cachers alike stopped by to learn about the activity and how it can be used as a teaching tool. 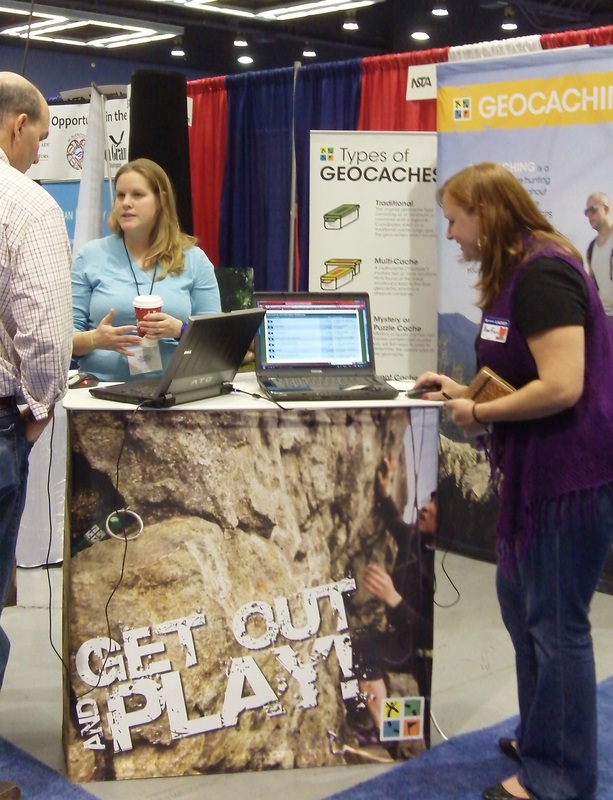 Those working the booth were pleased with the number of teachers already using geocaching in their classrooms. It was equally encouraging to see how many teachers plan on incorporating geocaching into future lessons. Lackey’s found that both students and teachers are using geocaching to teach a variety of subjects. “We had a number of science teachers discuss how they plan to co-teach with social studies or geography teachers,” said Louie Bliss. Check out the education forums if you are interested in posting questions, ideas, sharing curriculum, and more. The forums are a fabulous way for teachers to learn from one another and for Groundspeak to learn from teachers. Resources available on the Geocaching and Education page include educational screencasts, geocaching videos, a link to the Intro to Geocaching PowerPoint Presentation, and a link to the education forums.